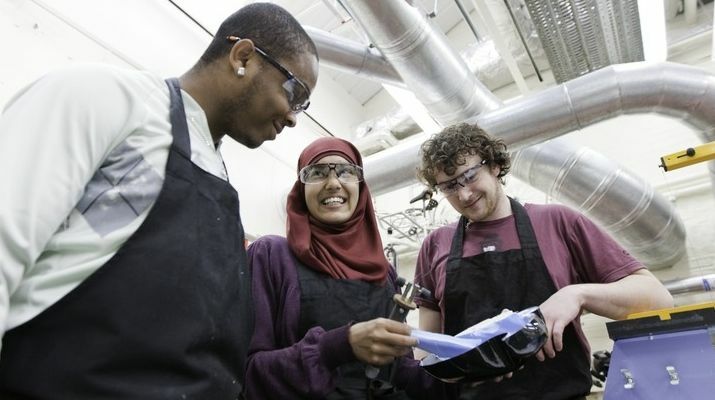 London South Bank University (LSBU) is today announcing a £3million pledge from The Higher Education Funding Council for England (HEFCE), to support the setting up of laboratory facilities for degree study and higher level scientific and engineering apprenticeships. This award will allow LSBU to expand its programme of professional and technical studies and foster increased engagement between employers, students and the local business community. “I am delighted to be able to announce today a £3million funding pledge from HEFCE to support laboratory facilities at LSBU for degree apprenticeship study. “This investment will help to strengthen LSBU’s strong commitment to supporting our science and engineering students, many of whom are studying for technical and professional qualifications and apprenticeships. “Higher degree apprenticeships create valuable opportunities for young people and adults from all backgrounds to study in higher education while they work, and in so doing to fulfil their educational and career ambitions. These apprenticeships provide a skilled workforce that brings significant benefit to the local and national economy. Visit our apprenticeships page for information for employers and apprentices.